Ooh, Wolfsbane! I want! Hope you enjoy them all. I saw Ship Breaker on a couple of blogs months in IMM's but I haven't seen a review of it yet so I'm looking forward to that. I got Stealing Phoenix too and so I'll join you in the squeeing! :O Wolfsbane??? I'm super jealous - can't wait for it!!! 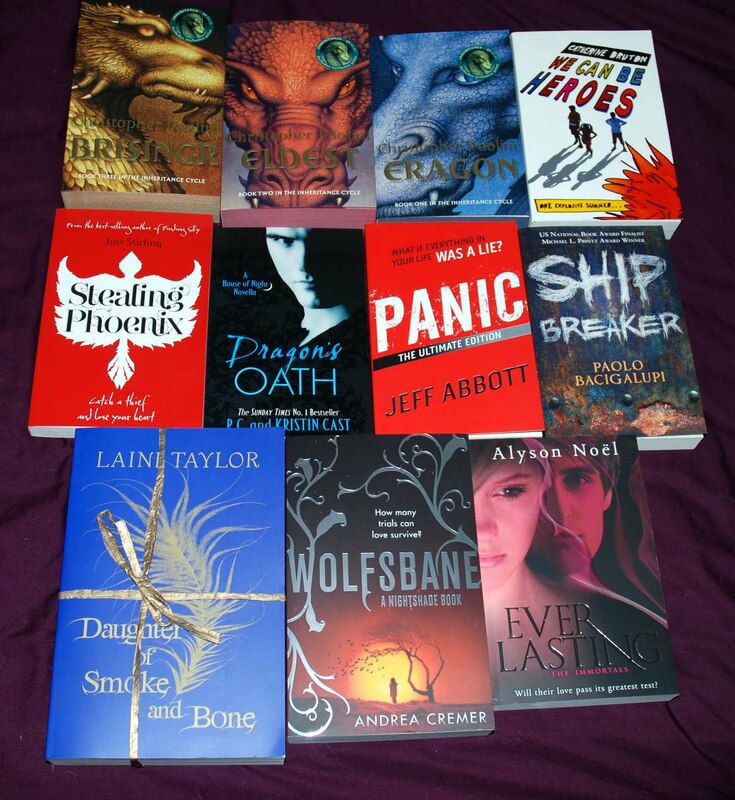 I did get Daughter Of Smoke And Bone though too! Can't wait to start it!! Daughter of Smoke and Bone sounds interesting. I look forward to your thoughts on it. I really want Daughter of Smoke and Bone. I'm not signed up with the publisher but I won a copy in Twitter so fingers crossed I'll get it! I'm a big fan of audiobooks too and those look great. Happy reading and listening! Very good haul. Hope you enjoy them. Just hopping through the IMM's. I am officially super jealous! But you got some great ones! Eragon is brilliant! And Panic looks amazing!